Best Selection Set to celebrate SD Gundam Gaiden 30th anniversary! The theme this time is the fateful battle. Both main & rival characters in different series are selected to be the 32 types of hologram cards! 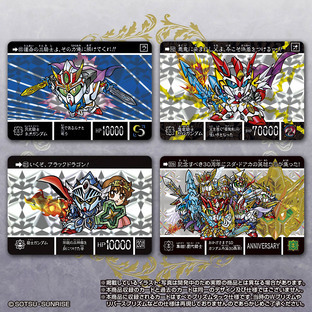 All the cards are presented with SD Gundam Gaiden 30th Anniversay logo to make it be a memorial item. 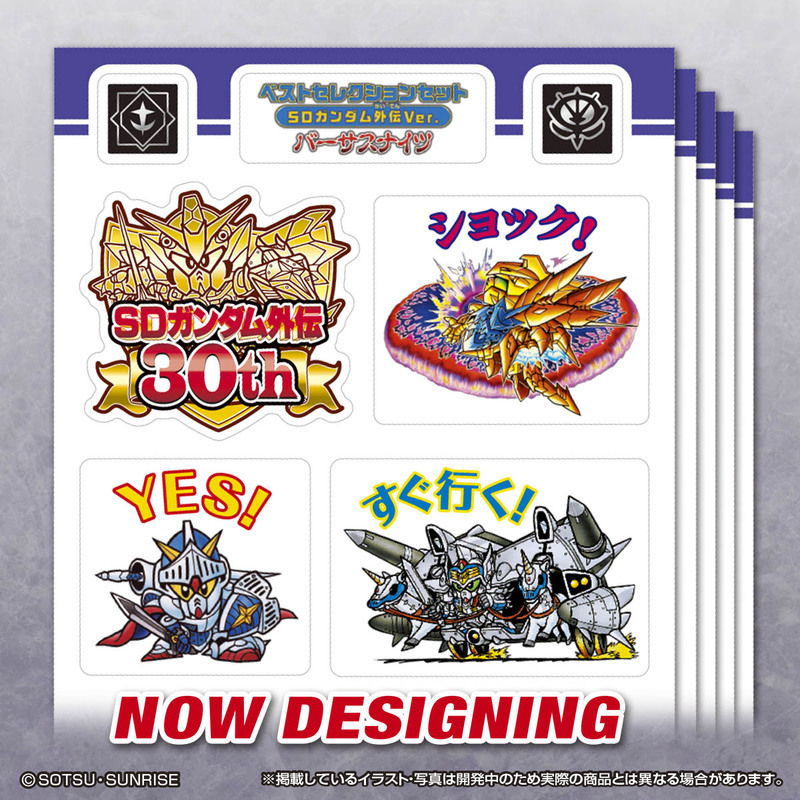 In addition, 5 pieces of Decoration Stickers based on SD Gundam Gaiden is included! 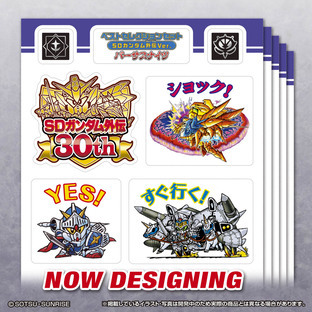 The logo of SD Gundam 30th Anniversary is also included in the stickers. Let's colour your daily life with Gaiden 30th Anniversary! 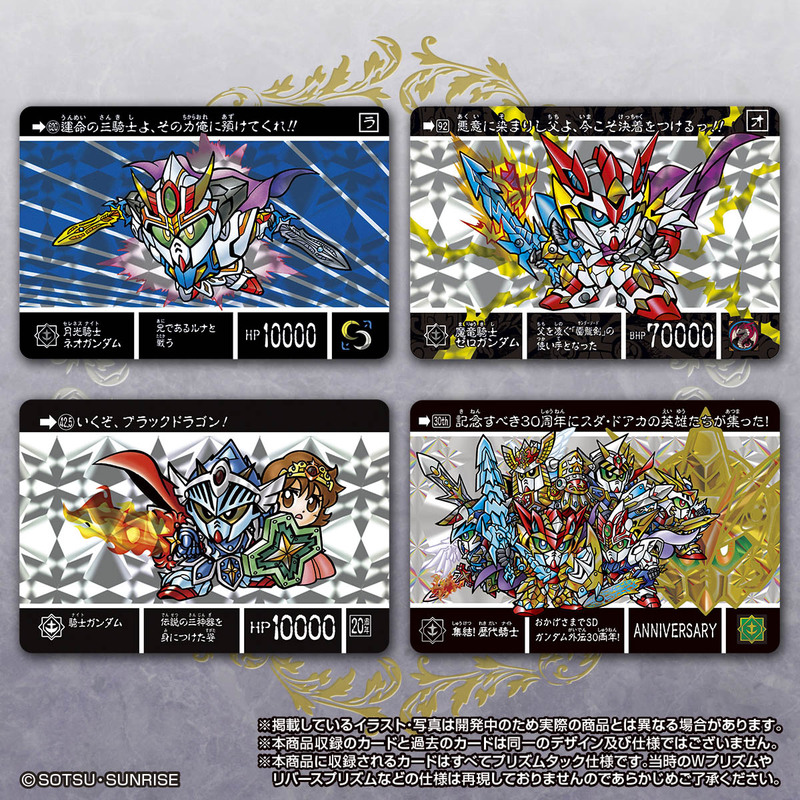 ※Cards in this set is different from the design and specification of the cards released in the past.